containers provide maximum mobility,durability and advertising revenue in rough duty, indoor environments like convention halls, stadiums and other public assembly venues. »» Heavy duty, double wheel casters make it easy to move the container into position, lock into place temporarily, and then roll back to storage areas. 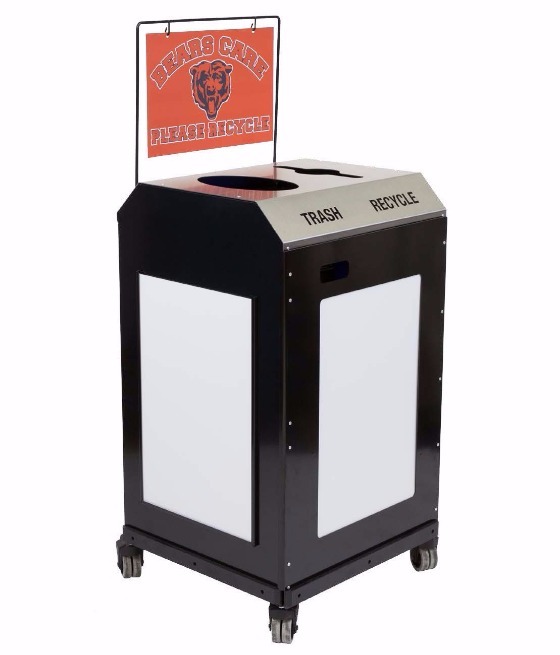 »» To protect from heavy duty impacts, MobileMax has bumpers on all four sides to protect the receptacle.»» Restricted openings are 10” for the trash and 5” X 10" for the propeller. »» “Trash” and “Recycle” are laser cut into the stainless steel. »» MobileMax encloses two high-density bins that collect a split stream of recyclables and trash. 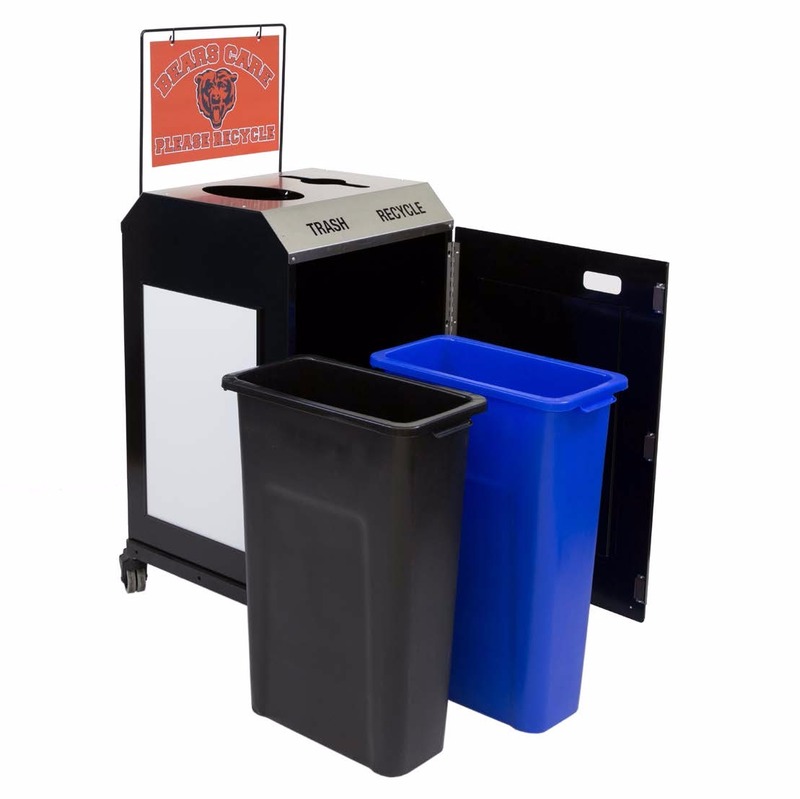 »» The 23-gallon bins (each 20” D x 11” W x 30” H) are made of high density poly and weigh 6.3 pounds. »» The bins are serviced through the front door.»» Clear, 30 gallon bags (30” x 36”) help crews move collected material to the proper dumpster.